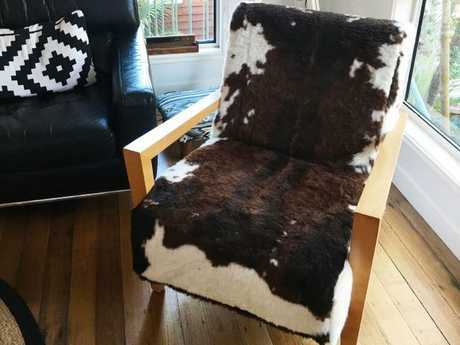 IT MAY look like a pricey designer armchair - but all hail the re-purposed chair covered in a $30 faux cowhide rug from eBay. 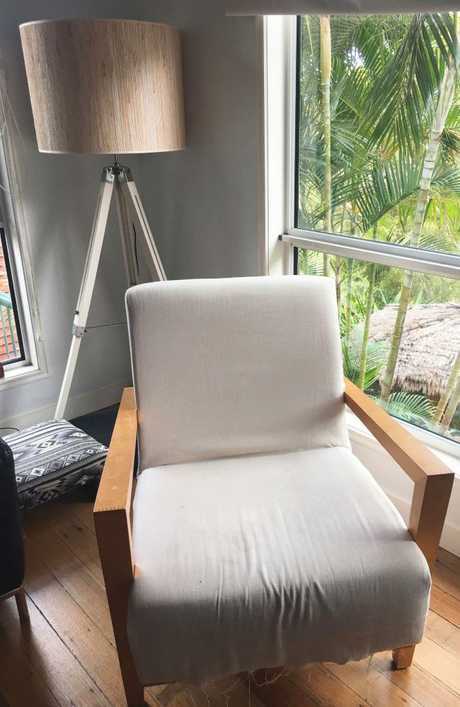 Gold Coast mother-of-two Jo Bailey first bought the $30 second-hand chair two years ago from Gumtree, when she re-covered it for her young son Mitchell's nursery. Mitchell is now a toddler and the chair was due for another revamp - but this time, she wanted a material that would hold up, year after year. 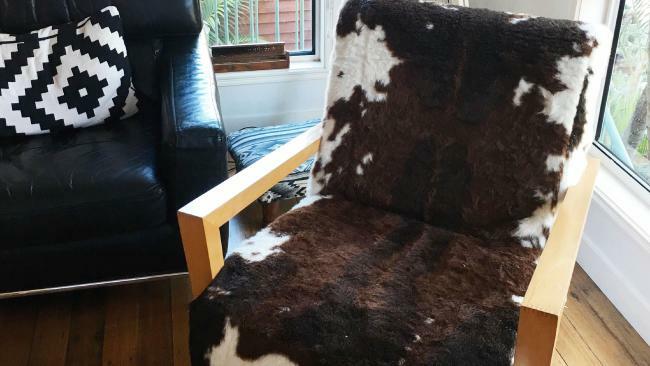 "I have decorated boho style and always admired the cowhide chairs, but did not like the price tag so like I always do I work out a cheaper option which I could do myself," the 46-year-old told news.com.au this week. Similar chairs often retail for over $1000, something that was out of reach for Ms Bailey, who created her final product for a total of $60. "I don't think it was hard to do, but for some it may be - it all depends on your skill set," she said. Ms Bailey, a hairdresser by trade, has been sewing since she was young, and loved expressing her creative flair with DIY projects around the house. "So things like this are fun for me," she continued. "The only issue these days is finding the time in between chasing a two-year-old. "My motto is if something has been made it can be unmade so you work backwards, so firstly I turned the chair upside down and undid the screws. "After the chair was removed from the frame I removed the staples that attach the upholstery to the chair." Once all the staples had been removed, she pulled off the cover and unpicked the stitching. "This then became the template for the new upholstery," she said. "When all the pieces were separate, I laid them on the rug and worked out the best way to cut the fabric fitting all the pieces. "Being a faux cowhide, it's an odd shape so some pieces I had to patch using offcuts." She said if you had a sewing background, it was easy to work out. 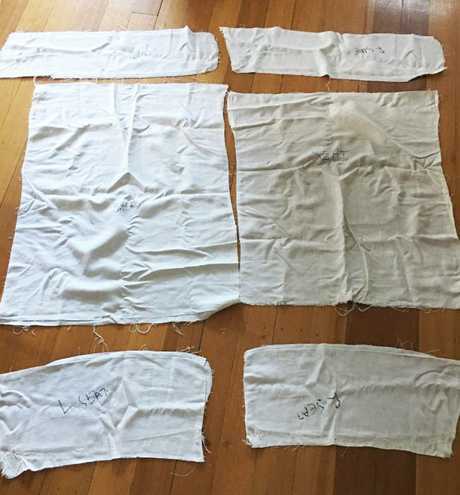 "Then the pieces all get sewn together the same way as the template shows," she said. "The finished upholstery was then placed over the chair and secured to the base with tight tension by staples, and I screwed the chair back to the frame. "That's it!" She said the whole project took her about a day, but as she's got young children there were obviously multiple interruptions. She thinks it probably took about three hours of actual work. And those three hours have captured the attention of thousands of fellow DIY-ers, after she posted her rug-chair on social media. Some have even borrowed her concept, and made their own versions, including a bar stool recovered in the same faux cowhide. 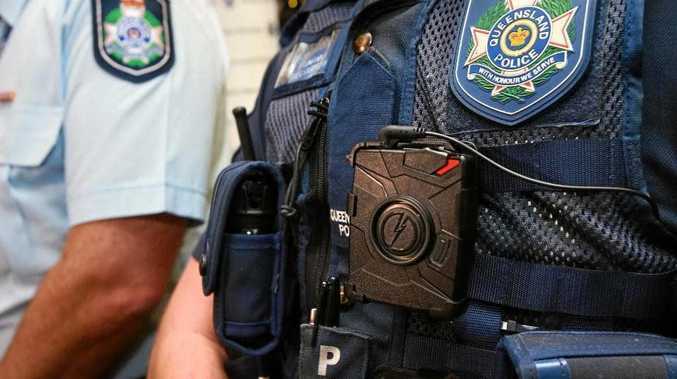 "I'm very pleased with the result, that's what prompted me to post on the hack pages," Ms Bailey said. "My friends are always telling me I should be selling my creations but I just do them for myself or as presents. "Now I'm taking them more seriously. "I am extremely surprised with the feedback response, and I'm very proud. "I am a keen Gumtree and Buy, Swap, Sell watcher, so when I saw the rug come up for sale on my local page for $30, I jumped on it." She said Pinterest was her go-to for inspiration, and her number one rule for crafty home hacks was "if something is made, it can be unmade". "Have patience and think outside the square sometimes and you would be surprised what you can create," Ms Bailey said. She said the reaction from both strangers and friends to her work had inspired her to develop a small business on the side. "My best friend calls me 'waste not, want not' and I have recently started the process of selling my repurposed creations with the same name." Sheree Heineck also like the look of the cowhide chair, and made her own creation with a $15 chair and a $25 rug. "I did buy the rug to use as a floor rug but it didn't look good, so I rolled it back up and put it in the cupboard," she said. "I found the chair on Gumtree and brought it home to use as a study chair because we built a standing office table and I thought a study chair would be good too. "After the chair was cleaned up we covered the seat with the rug - we had to grind back the chair because it was completely rusted, so once that was done we painted it with black spray paint, cut the rug to fit and stapled with an air gun. "It was really easy to do. "This was the first chair we done, although we are home renovators and do a lot of our own pieces from whatever we find. 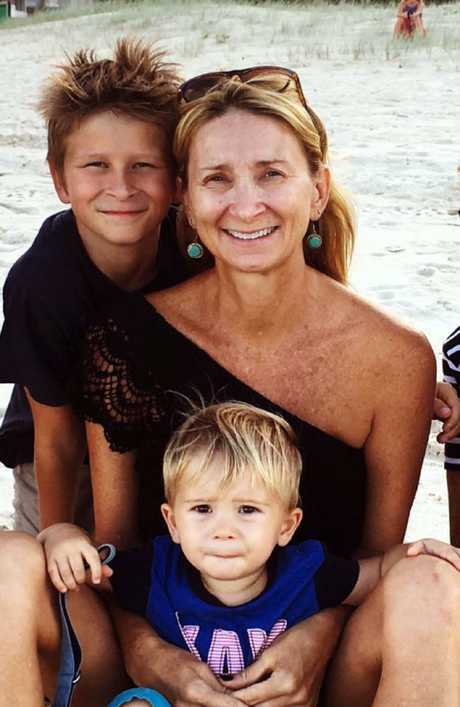 "I enjoy the DIY while my partner builds and renovates our dream home."